The Mission of Shri Krishna Educational Society (Regd.) Malout Distt. Muktsar is to establish and run educational, technical and profesional institutions for the promotion of education, particularly in the educationaly, technically backward area of the state. 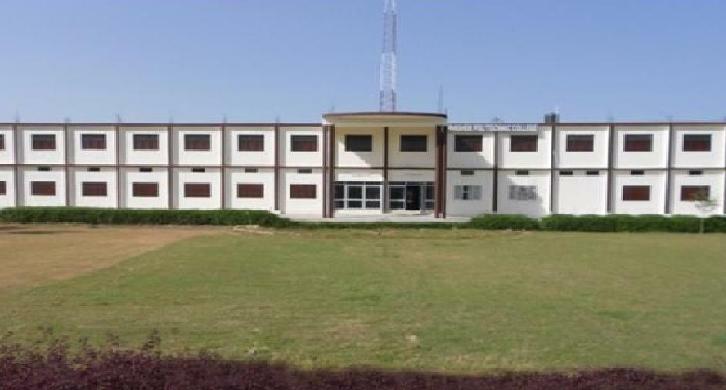 To fulfill the mission and objective, The society has established a polytechnic at Abohar and the other polytechnic , Abhishek Polytechnic College Near Daulat Pura, Distt. Firozepur The society desires to setup various colleges like ETT, B.Ed ,Engineering, PGDCA and Nursing Institute in this backward belt of Malwa in near future. The society's main mission is to impart quality education along with helping the poor students especially the weaker section of the society because the institute at Daulatpura village besides providing excellent education, will prove boon for girl students who otherwise inspite of having craze for the engineering line, had to drop out because of financial implications. Sports games are very important for building up team work and for overall personality development . APC has got a well established sports department. It has got play grounds games and sports equipment for conduct of competitions. The regular and systematic practice of various sports and games is carried out in the evening as a result of this the performance of our students in Inter College sports competition. This activity has resulted in development of team sprit in students and their better personality development. APC has huge tastefully designed fully equipped state-of-the-art computer Centers with network cabling and centralized controlling equipment for monitoring network workstations. The students avail computer facilities on one-to-one basis for long hours. The college has all the required infrastructure and excellent facilities for students to pursue their courses. The institute strives to improvise on the available facilities to make the student more equipped for the challenging and competitive corporate world. The institute is privileged to those who cleared the JET and the test conducted by the institute. The institute ensures that the student gets the best teacher by selecting them through an open competitive after a nation wide search.